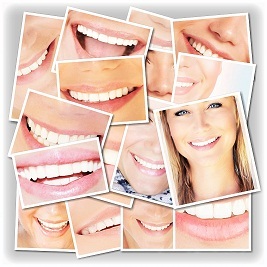 Is a process of removing stains from the surface of the teeth. Stains are results of smoking, drinking (coffee, soda, wine, or any other food that can stain a white shirt). For severely stained teeth Veneers/Lumineers are indicated. A. 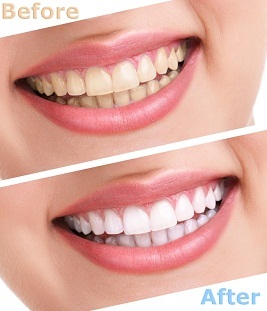 In Home Whitening: we manufacture custom-made bleaching trays that can be used to apply whitening gels to your teeth. The trays are worn during the day for 1-2 hour or overnight. It takes approximately 2 weeks to see perfect results. B. In office Whitening: (Sapphire) This procedure requires direct dentist supervision. It takes approximately ½ hour to brighten your teeth up to 10 shades.